NEW SERVICE PROVIDES RICE EXPORTERS IN NORTH INDIA WITH SUPPLY CHAIN SOLUTION: There will be a direct train link between Northern India’s inland container depots and the container terminal. Weekly service connects port of Kandla with Jebel Ali in Dubai, and Dammam and Jubail in Saudi Arabia. Mihala entered Indian market in March 2015 with launch of first direct service between Qatar and India. Petrochemicals exporters in Jubail will have direct service to Kandla. Qatar Navigation (Milaha), a maritime and logistics conglomerate, has signed an agreement with the Kandla International Container Terminal (KICT) in India, to start the first direct common carrier feeder service between Saudi Arabia and India. 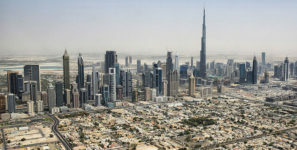 The frequency of this first-of-its-kind service will be weekly and will connect the Gujarat port of Kandla directly with Jebel Ali in Dubai, and Dammam and Jubail in Saudi Arabia. The weekly service will be operated with two vessels and will have the following rotation with a 14-day round-trip: Kandla – Jebel Ali – Dammam – Jubail – Jebel Ali – Kandla. The first vessel call of this service will be M.V Oshairij on 4th February 2017 from Kandla. Milaha was established in July 1957 as the first public shareholding company registered in Qatar. Milaha’s current activities include marine transportation in gas, petroleum products, containers, and bulk; offshore support services; port management and operations; logistics services; shipyard; trading agencies; real estate investments; and asset management.